From the business’s perspective, filling the sales funnel with qualified leads is really important. But the business will grow when the generated leads get converted into customers. For this, it is vital to nurture leads properly. 55% of people open their email inbox on the regular basis. The reach of emails is six times higher than social media posts. Social media giants like Facebook and Twitter are lagging behind email when it comes to acquiring new customers. 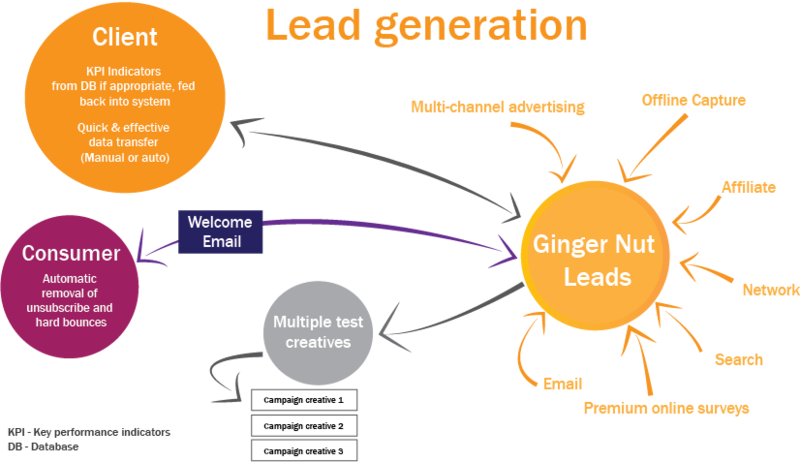 Today, we are going to tell about some email marketing mistakes that affect the whole lead nurturing process. So, let’s get started. In order to nurture leads via email marketing, it is significant to share quality content with potential customers. This factor is vital because whenever potential customers see that the received emails contain low-quality or boring content, they are more likely to hit the ‘Delete’ button, which negatively affects the lead nurturing process. Therefore, it is imperative for companies (that are trying to nurture leads on their own) to make sure that all the emails that are going to be shared contain compelling content to increase the movement of leads in the sales funnel. Address potential customers in emails by using their name. Don’t use more than three fonts. Make sure that all the attached images (related to products) are in high-resolution. Email content should be written in a simpler language so that prospects don’t face any problem while reading. The most cited silly mistake that businesses generally commit while sending lead nurturing emails is ‘Not putting attention in creating compelling subject lines.’ Owing to this, they encounter the hassle of poor email open rate. As revealed by industry reports, 64% of lead nurturing emails get deleted without even being read because of dull subject lines. Therefore, if you are an owner of a business and want to nurture your generated leads properly, make certain that your marketers are putting efforts in creating captivating subject lines. This factor shouldn’t be taken lightly because all your efforts to enhance the quality of email content can go in vain owing to stodgy subject lines. Keep the length of subject lines short. Try to come up with eye-catching words as spammy ones like Magic, Free, etc. would only reduce the click-through rate. Last but not least, the improper placement of CTA buttons is another silly blunder that organisations commit while sending lead nurturing emails. Usually, call-to-action buttons get placed so that potential customers can access more product and service related information easily. However, when 2 to 3 CTA buttons get placed close to each other, potential customers often get confused regarding on which button they should click. Owing to such confusion, prospects sometimes leave reading and delete the email. Consequently, this makes a negative impact on the lead nurturing process. Hence, it is significant to place CTA buttons properly. So, if you are running a business and want to nurture your leads effectively, make sure that your marketers are placing CTA buttons appropriately. Or you can simply cut all the hassle by availing lead generation call center services from a reputed vendor. 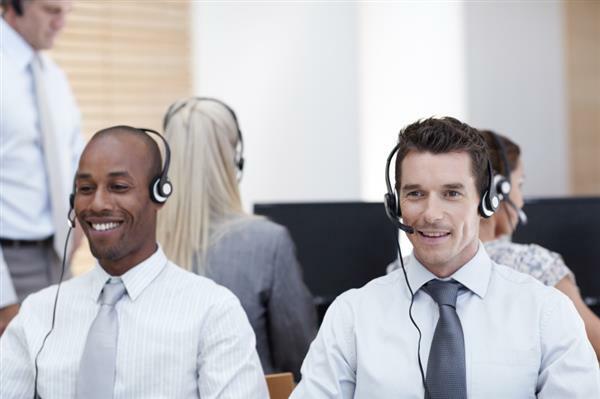 How can UK Call Center build Customer Trust? In the business world, trust is the aspect that matters most. As per the reports, 83% of customers prefer to recommend a business they trust. Moreover, trust is the factor that can really help in generating positive word-of-mouth. However, winning customer trust isn’t a piece of cake as you have to push your limits to meet or surpass the expectations. That’s why most of the business owners make contact with UK call center business outsourcing companies to render remarkable customer service. But sometimes BPO firms also overlook some common factors that can really help in earning customer loyalty and trust. It is highly recommended to never underestimate the influence of customer trust and loyalty as these are the factors that can assure a long-term success for the business. Keeping customers informed has always been the best way to win customer loyalty. But sometimes UK UK call center business outsourcing companies forget this aspect and don’t inform customers about the new changes that are made to enhance customer experience. No one can deny this fact that BPO firms always solicit feedback from customers after every interaction. A positive response always tells about those aspects that can be streamlined. On the other hand, negative response reveals about those factors that are yet to be improved. BPO firms always make suitable changes to render better customer service. To build business’s credibility, it is significant to inform customers that how their opinions helped in improving the quality of customer service. Do you know about the delusion that customer service team usually has? ‘Thinking that solving customer’s issues can do the trick when it comes to building customer trust.’ Well, this aspect isn’t truly correct because customers always want to be assisted in a personal manner during the interaction with agents. Address customers by using their name. Make apologies for the inconvenience. Tell the time period in which a customer service case would be resolved. Well, it is highly appreciated that you have been rendering astounding customer service. But it doesn’t mean that your services are perfect because there has always been a room for improvement. Owing to this aspect, it is significant for you to put more focus on improving the quality of customer service. Apart from building customer trust, there are several benefits that a quality customer service offers such as high CLV, better retention rate, bolstered business’s reputation, and much more. From the business’s point of view, customers have always been the strength of any businesses. But keeping every customer happy isn’t a cakewalk. But you can ensure a smoother way by simply bringing the self-service to the table. During the peak hours, it is extremely difficult to cater to customer’s needs because every extra minute increases the length of the queues. The situation turns from bad to worse when the CSAT score is at the stake. That’s why it is very important for the call center business outsourcing companies in UK to tell the agents to encourage the customers to make use of the self-service facility. This will make the life of customers and agents easier. Of course, we aren’t saying that customers shouldn’t make contact with agents to get the desired resolutions. All we want to say is that agent’s valuable time shouldn’t be wasted in solving minor issues. If customers solve all the minor issues on their own, they don’t have to wait to get connected with the agents. Consequently, this leads to high CSAT score and reduced call volume. Agents get more time to deal with the complex issues. As a result, better services will be delivered, which, in turn, surely build the customer trust. All in all, self-service should be promoted for the sake of better business’s bottom line. In this hyper-competitive era, the demand for call centre’s services has been increased more than ever. Because companies of all sizes want to set new benchmarks in terms of success. This aspect increases the BPO firm’s demand because so as to improve business’s bottom line in the short period of time. Because of poor work culture, call centres usually face the hassle of high agent attrition rate, irrelevant results, etc. This not only increases the customer churn rate but also affects the stability of the business. Therefore, it has always been advisable for the BPO firm owners to invest some time in improving the work culture. Agent’s skills & experience are the two crucial factors that decide the quality of customer service. Most of the call centres try to make a stronger relationship with their employees because whenever a good agent resigns from his/her current position, this aspect affects the productivity of the whole team, which, in turn, may lead to a loss of business. On the other hand, if BPO firms put more focus on improving the work culture, new agents who possess good skills will surely get attracted towards the company. Because every person wants to work in that company which offers good facilities. Moreover, a good culture not only attracts good talent but also helps in retaining the top-performing agents. Most of the call centre in India think that providing ergonomic chairs and other high-tech office equipment creates a good working culture but it doesn’t. Of course, outstanding facilities keep the agents happy. But it is imperative to conduct skill development programs after a short time duration. Because whenever agents feel that they aren’t learning anything new, they are more likely to switch to another company. That’s the main reason why reputed call centres provide training to the agents after a short time span to keep the latter abreast with the ever-changing technologies. This not only increases the job satisfaction level but also boosts the business’s profit levels. There is no doubt that BPO firms always try hard to improve their agent’s performance to deliver the best services. But sometimes call centre in India didn’t get the desired results after putting so many efforts. The main reason behind this is a poor work culture that always affects agent’s productivity. On the other hand, creating a learning culture in call centres can do the trick when it comes to improving agent’s performance. Because a good working environment always motivates the agents to deliver their best, which, in turn, leads to a better business’s profitability. In addition to this, the rate of informal complaints gets dropped around 29%. So, it is advisable for the BPO firm owners to start focusing on improving the work culture to get the desired results. Another factor that will impress the owners of call centre in India, UK, USA, etc. is that a positive work culture always brings the best out of the new agents. The primary reason behind this is when newly joined employees get an opportunity to work in a learning environment, they push their limits to bring effective results as their seniors do. In addition to this, new agents try to learn about new things on their own rather than depending on spoon-feeding. This aspect also helps BPO firms in finding out those agents who are open to learning something new in order to improve the business’s bottom line. Furthermore, new agents can quickly get in the groove, which, in turn, leads to a better productivity. Apart from that, a positive environment gives the confidence to the new agents to communicate with the management if they want to. From small companies to multinationals, everyone is approaching BPO firms to get more productive results that help in business expansion. For the same reason, sometimes call centres have to take some tough decisions that may not be welcomed by the agents and this invites an unnecessary trouble for the management. On the other hand, if call centres try to create a friendly & energetic work environment, this aspect will surely build a stronger relationship between management & the staff. This association will surely prevent the disagreements and ensure a smoother way for the business. From the business point of view, developing a positive & learning work culture is a very significant aspect as it helps in building the brand’s value. In this blog, we have discussed top 5 reasons that can help call centres to understand the importance of a better working environment. So, keep following us to get more information like this. Nowadays, call scripts have become one of the most required tools for BPO agents to ensure quick and efficient customer service. With the help of scripts, agents can give detailed answers in a swift manner and this leads to a better CSAT score. But there are some call scripts related issues that not only ruin customer’s experience but also ensure a loss of business. There is no doubt that agents should greet the customers during the interaction to leave an everlasting impression. But things get complicated when an introduction turns into a boring monologue because somewhere this makes customers frustrated. That’s why call scripts should be designed in such a way that gives a chance to a customer to ask product or service related questions to the agent. So, it is advisable for all the inbound call centre service providers in UK to make some suitable changes in call scripts so that agents don’t sound like an automated program. To render the best inbound call centre service UK, BPO firms always try to provide the best call scripts to the agents and that’s why the former make required changes in the scripts after some period of time. But call centres usually don’t include agents while creating call scripts and here the former make the first big mistake. Because agents usually have the idea about the customer’s expectations owing to regular interactions, including them into the script writing process can come handful. All in all, UK call centres should solicit agent’s feedback to make call scripts more reliable. Of course, call scripts help agents in delivering desired resolutions. Some UK BPO firms provide different call scripts to handle different situations. But sometimes intricate circumstances demand flexibility and spontaneity. Because relying on scripts to handle complex issues may lead to a high customer attrition rate. The main reason behind that is when frustrated customers look for specific resolutions, they don’t entertain the agent’s robotic behaviour. Sometimes agents put the customer’s call on hold so that the former can find the right scripts to handle issues. This somewhere increases the average handle time (AHT), which, in turn, lead to poor productivity. To prevent high AHT, UK BPO firms should organise call scripts by topic or keyword. If agents know where to find quick answers to frequently asked questions, they will surely deliver the best UK inbound call centre service. There are many UK BPO firms that have so many agents who cannot speak English fluently. That’s why call centres create scripts to cover-up agent’s language issues. But there is a high possibility that customers may ask a question which isn’t mentioned in the script and this will put Non-English speaking agents into a big trouble. So, it is advisable for all the BPO firms to put more focus on agent’s training rather than creating call scripts. With the advent of time, the outbound call centres have managed to call and touched a person’s life magically. There are numerous ways to increase sales in today’s era, but the most favoured measurement is calling a customer personally and asking his or her requirements thoroughly. These outbound telemarketing services are still managing the legacy and approaching their customers in the most humble ways possible. Simplifying a complex process is just as important as finding tactics to increase sales. With the proper simplification of the process, you will not be able to find the right customers to contact to. Segmentation and streamlining the process is very important to increase the market value and boost up the sales. Nobody prefers paying for monotonous and same kind of services every time. For enticing your customers you need to be updated with the latest technologies and innovative measures. And for acquiring a large number of customers with varied backgrounds you need to present these technologies in unique ways. And for this very reason, the in-house outbound call centres fail to entice a lot of customers. It takes a lot more than one man army to manage a multinational organisation. Proper staffing of any outbound call centres is equally important. Despite the fact that every call is an opportunity to make new customers and gather some unique requirements but the pressure to complete goals and meet public demand is not an easy job. Therefore, the attrition rate in any call centre is greater than hiring process. Setting the correct approachable and manageable goals is very important for any outbound call centres. There are companies who set up goals that are unrealistic and hard to reach. Even if the agents are highly skilled and trained in getting the right audience but each of them requires a defined span of time to identify, analyse, and set a strategy for communication. Getting the right people at the right time requires proper planning and communication. In the context of outbound calling, meeting deadlines and timely delivering any services requires proper timing and efforts in the right direction. With many different ways to reach the targeted audience, outbound call centres are known for their calling skills and attracting the right leads towards them. But there have to be a set standards and ways to communicate a lead, as a regular calling can annoy the customers and they start avoiding your calls.